2019 Vision Awards Call For Entries! 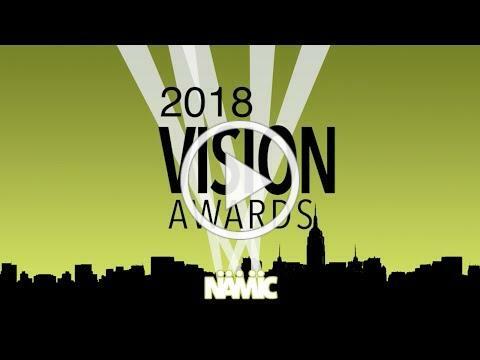 NAMIC Vision Awards salute original programming for linear and digital platforms that is reflective of the depth and breadth of the lives, spirit and contributions of people of color. Submit your entry here by Monday, December 10. 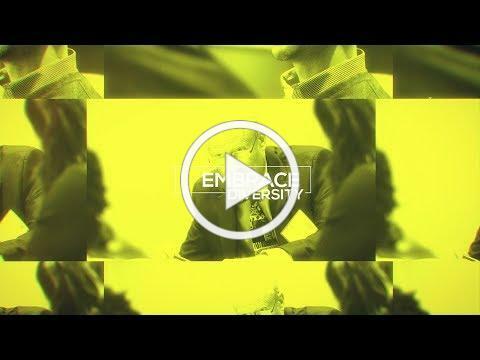 Check out the video above to see the 2018 winners. Former NAMIC-New York president Nicole Granston (pictured left to right: Nicole Granston; Grammy award-winning singer Michelle Williams, one-third of chart-topping Destiny's Child; and Chad Johnson, sports chaplain to professional sports organizations) authored this article. NAMIC ELDP Class XIII alumnus Renard Jenkins , VP, Operations, Engineering and Distribution, PBS Technology and Operations was a speaker at the dpp Technology Leaders' Briefing in London. NAMIC-New York member Arielle Neblett started a new position as Casting Associate Producer at Condé Nast. Were you in the news? Did you receive an award? Let us brag about you! Please send your accomplishments, recognitions, accolades and kudos to susan.waldman@namic.com. NAMIC members: Most chapters are holding elections for 2019. Check your email for more information. As a NAMIC member, you're invited to participate either by nominating a colleague or yourself. Build Efficient & Effective Teams; Discover how to Delegate Authority; Expedite your Career Development; Network with peers, colleagues and other industry leaders; Solidify and Justify your place in the media & entertainment industry; Develop Your Personal Brand; Increase your Exposure and Visibility; Polish your Leadership & Management skills; And while you're at it...Have fun! In addition to being a creative visionary whose characters brought entertainment and joy to millions, Lee was also a social justice advocate who strove for inclusion in his work. His X-Men characters were inspired by the civil rights movement, and he also made efforts to bring diversity in to his stable of superheroes, creating characters like Black Panther in 1966, and later introducing Sam Wilson as The Falcon, Captain America's partner. This year, 99 African American-led businesses made the Inc. 5000 list of the fastest-growing private companies in the country, measured by revenue growth over the past three years. The top 10 comprise a wide range of companies and industries, from IT to staffing to real estate. Here's a look at that distinguished group. A recent study by the University of Southern California's Annenberg School for Communication and Journalism showed Asian-Americans representing only 1 percent of all leading roles in Hollywood (the 2017 United States Census Bureau reported that there are 18 million Americans of Asian descent, or roughly 6 percent of the population). In a huge merger among telecom industry vendors, CommScope has agreed to purchase Arris in an all-cash deal with a total purchase price of $7.4 billion, $31.75 a share. NCTA joined the chorus of voices responding to the NTIA's request for input on "Developing the Administration's Approach to Consumer Privacy." With the national debate focused on immigration, Discovery is heading to the U.S.-Mexico border for a timely live reality series, Border Live. Comcast will add two new African-American owned networks to its Xfinity TV lineups in January to satisfy provisions set during its purchase of NBCUniversal. One brand, in particular, is New York-based, Driven Society. Deeply rooted in the community, Driven Society started as a creative collective with artists, curators, designers and creators alike and has evolved to strategically pair brands with the market they wish to connect with and ultimately helps these companies look at things through the lens of the minority, millennial audience. That's the subject of the latest Hispanic Radio Podcast, in which Radio + Television Business Report Editor-in-Chief Adam R Jacobson tackles "The Case For Change" - and how it could lead your company to not only change the format of a struggling radio station to one of interest to Latinos, but also lead your company to fully embrace the "new American mainstream." November 15: Register today for NAMIC-New York's "You Get What You Negotiate"
November 17: Register today for United State of Women's "Galvanize Pennsylvania"
November 27: Register today for NAMIC-Philadelphia's "Paragon Awards"
November 28: Register today for NAMIC-New York's "Chaz Chats: A Masterclass in Effective Networking"
November 29: Register today for NAMIC-New York's "Making Your Personal Website Work For You"
December 5: Save the date for WICT and NAMIC-Mid-Atlantic's "Celebrate the Holidays"
December 11: Register today for NAMIC-Denver's "Social Media: Career Rocket Booster or Torpedo"
December 11: Register today for NAMIC-Denver's "Holiday Social"
December 13: Register today for The Madison Square Garden Company and AMC Networks' "Holiday Rock & Roll Bash"